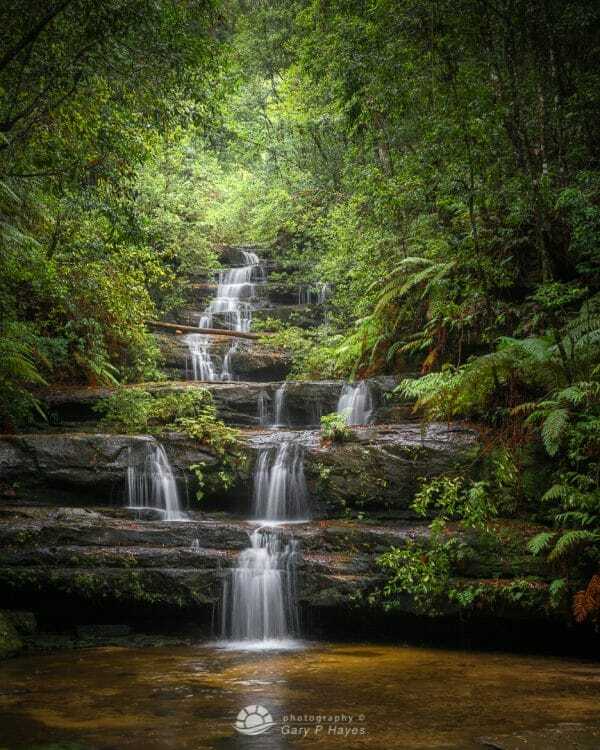 ABOUT: A beautiful fern gorge with two moderate falls Terrace and Victor, plus a few rock pools. 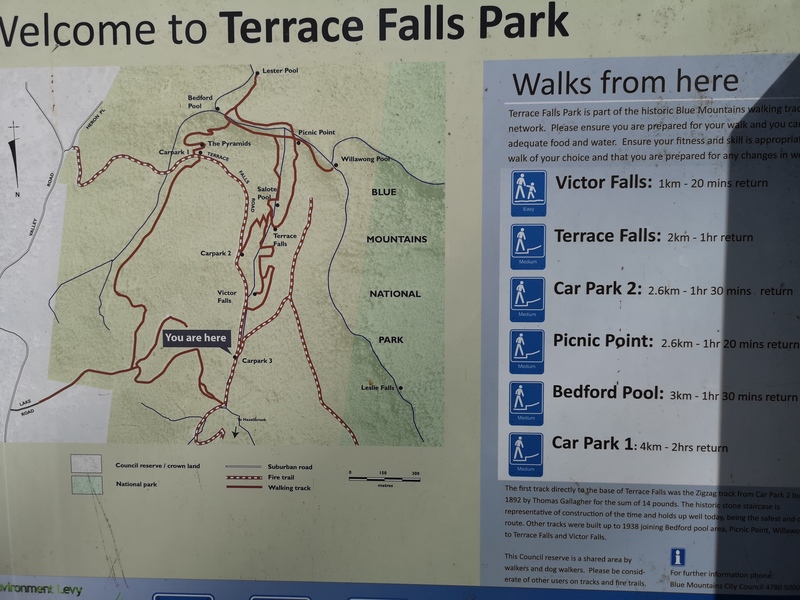 Terrace falls is most spectacular with around eight cascade levels finally dropping into a pool you can walk around in moderate flow and a cave/overhand to one side. 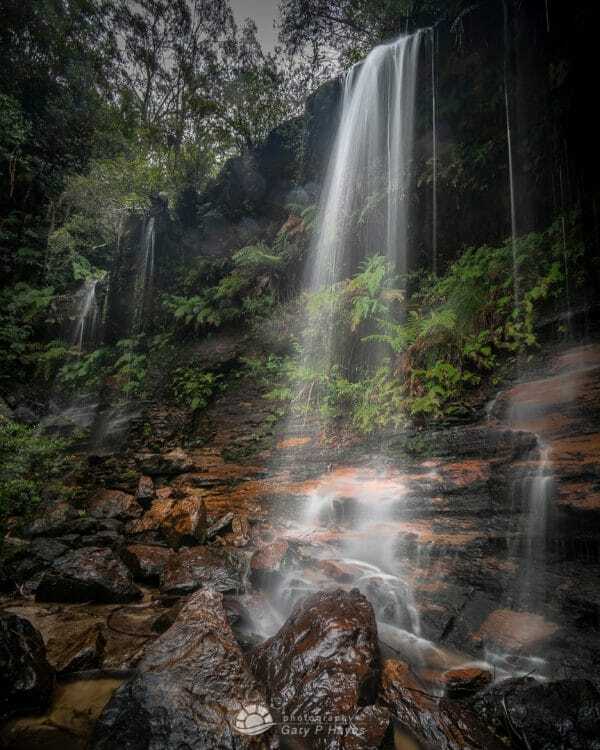 Victor is two higher falls in a small grotto and is stunning after rain and, is the first falls you come to from the Terrace Falls Road Gate. PHOTO EQUIPMENT TO BRING: Tripod & wide lenses a must. Considered a neutral density filter too for slow exposures. As you can get close to the falls a good wide angle 16 to 35 is a must and bring a good lens cloth as the falls spray can get on your filters. GETTING TO THE SPOT/S: At the ‘usually’ locked steel gate at the end of Terrace Falls Rd, walk about 15 minutes downhill on the gravel road you will then come to a map board (see below) which says Victor and Terrace are about 1 and 2km walk away on a small trail respectively – this crosses the creek twice, the last time above the top cascade of Terrace (be careful on those in heavy flow). The track can be slippy and overgrown in very wet weather so wear decent shoes.